Welcome to the DynamiX Theme, this section will give you an overview of the theme and how to get the best out the documentation. If you can’t find what you’re looking for within the Documentation, head over the Help Center – it takes seconds to sign-up and you’ll have access to the ACODA community. To Customize a Skin or create a new one, you’ll need to access the Skin Editor via WP Admin > Appearance > Skin Editor. To edit an existing Skin, use the Select a Skin to Edit section to select the Skin you wish to edit. Once you have selected it, click the Load Skin button. Once the page has reloaded, you can begin editing the Skin using the relevant Theme areas. 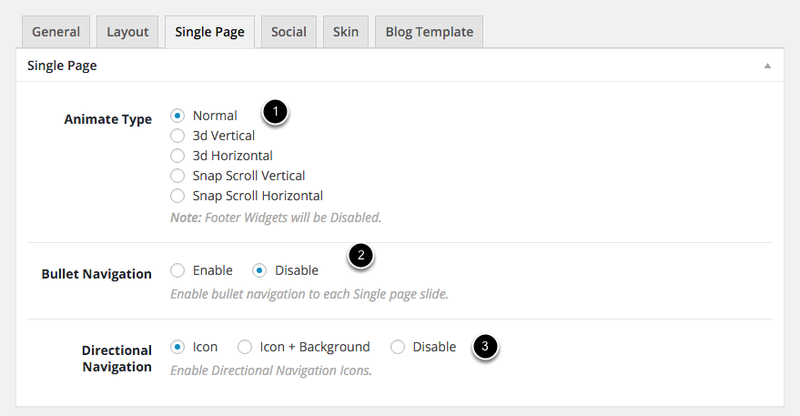 This option allows you to apply a Skin to the entire site. If this is left blank, the default Skin will be the current Skin selected in the Select a Skin to Edit area. Clicking the Load Skin button will load the selected Skin into the Skin Editor. The page will reload with the Skin that was selected, ready to edit. To duplicate an existing Skin, select the Skin you wish to make a copy of and click the Duplicate Skin button. This will present a field to enter the new name for the Skin to be duplicated. Once you have entered a name, click the Duplicate Skin button below the field. To delete a Skin, select the Skin from the Select a Skin to Edit field and click the Delete Skin button. You will be asked to confirm the deletion. To create a new Skin from scratch, click the New Skin button and enter the name of the Skin. Once you have entered a name, click the Create Skin button. This will reload the page with the new Skin selected, ready to edit. Learn how to change the Body Background Color, Background Image, Button Colors & Form Field Colors. Change the Background Color of the Body. 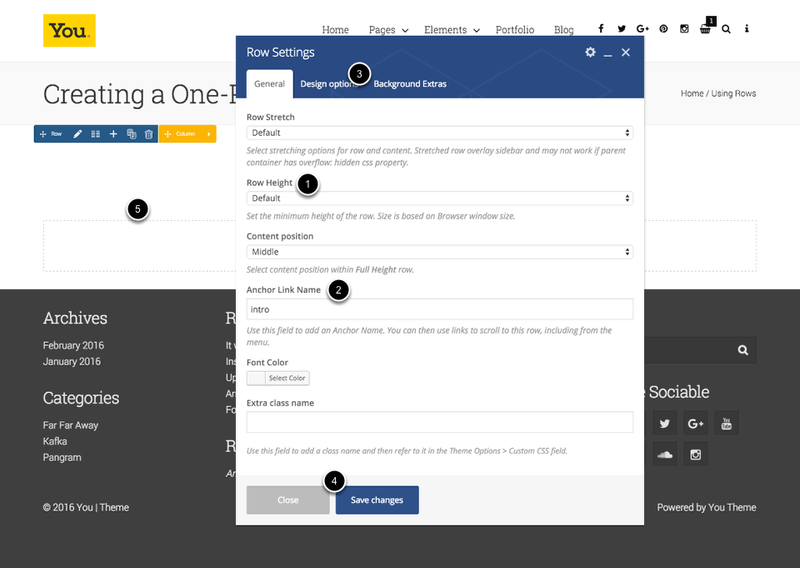 This is the main content area between the Header and Footer sections. Use this option to set a Background Image for the main content area. You can position the image using the following settings. Use this option to set the border, font color and background color of Form Fields, Search Forms, Tabs & Accordion ( With Shaded Color selected ), Back to Top Button & Boxed Posts Style. This option controls the Background Color of Form Fields, Search Form, Tabs & Accordion ( With Shaded Color selected ), Back to Top Button & Boxed Posts Style. This option controls the Border Color of Form Fields, Search Form, Tabs & Accordion ( With Shaded Color selected ), Back to Top Button, Dividers & Boxed Posts Style. This option controls the Font Color within Form Fields, Search Form, Tabs & Accordion ( With Shaded Color selected ), Back to Top Button, Dividers & Boxed Posts Style. Use this area to set the button font colors & button background colors. Learn how to change the main Font Colors & Typopgraphy. This section contains the options to set the default Font Family for the entire site. This area will also allow you to set the default font color and link colors. 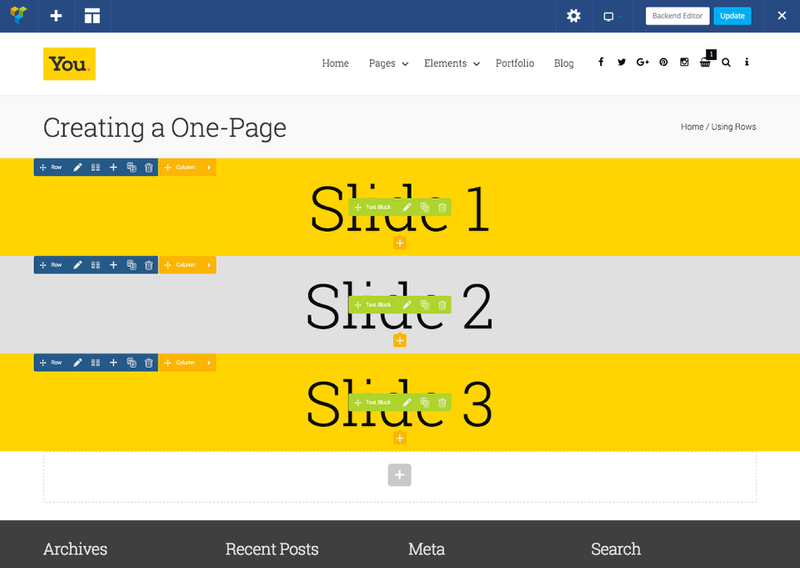 Use this section to control the link colors within the main content of a page or post. You can define the link color, link hover color and set an underline color. Use this section to control the link colors within the metadata. 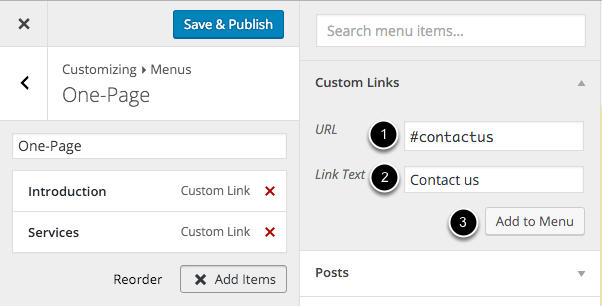 The metadata area is used within posts to display the publish date, author name and category names. You can define the link color, link hover color. Use this section of options to set the H1, H2, H3, H4, H5 & H6 heading tags. The heading colors can also be set for each heading in this section. Note: It’s recommended to use to as little number of fonts as possible. This will keep the page load speeds down. WordPress Admin > Appearance > Skin Editor > Menu > Typography. Learn how to change the Title Area Background Color, Background Image, Border, Font Colors & Title Font. Change the Background Color of the Title Area. Use this option to set a Border Color on the Title Area. 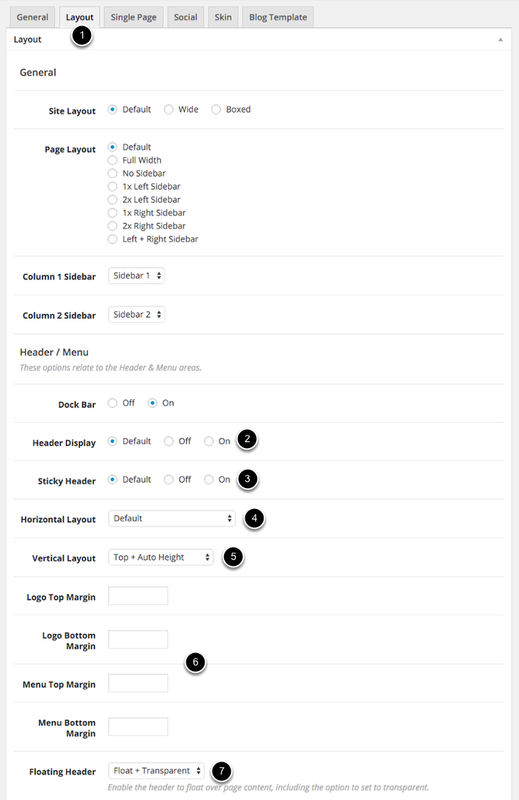 Use these options to set the font for the Page & Post titles. This option changes the Font Color for the Page & Post Title. This option changes the Font Color for the Subtitle within the Title Area. Use this option to change the color of links within the Title area. This includes the Breadcrumb Link Color. Use this option to change the hover color of links within the Title area. Learn how to change the Dock Bar Background Color, Background Image, Border Color, Font Colors, Dock Bar Icon Colors & Dock Bar Font. Use this option to set a Border for the Dock Bar. Use these options to change the Dock Bar font and font colors. This option changes the Font Color within the Dock Bar. Use this option to change the text color of any widgets that are set to “Inline”. Use this option to set a Dock Icon color. Use this option to set a Dock Icon hover color. Use this option to change the background color of Form fields of widgets that are set to “Inline” wihin the Dock Bar. Use this option to change the border color of Form fields of widgets that are set to “Inline” wihin the Dock Bar. Use this option to change the font color of Form fields of widgets that are set to “Inline” wihin the Dock Bar. When the Dock Bar widgets are set to “Flyout Window” use these options to control the Flyout Window Background Color, Font Colors & Form Fields. Use this option to change the Background Color of Dock Bar Flyout Window. Use this option to change the Font Color of the Dock Bar Flyout Windows. Use this option to change the Link Color of the Dock Bar Flyout Windows. Use this option to change the Link Hover Color of the Dock Bar Flyout Windows. Use this option to change the background color of Form fields of widgets that are set to “Flyout” within the Dock Bar. Use this option to change the border color of Form fields of widgets that are set to “Flyout” within the Dock Bar. Use this option to change the font color of Form fields of widgets that are set to “Flyout” within the Dock Bar. Learn how to create One Page sites easily, including 3d pages. Learn how to create a One Page site using this video tutorial. Creating a One-Page is very simple, using the Visual Composer, each Row you add to the page will act as a Slide / Page ( depending on how you want to describe it ). In this example, we’re going to create 3 Rows ( Slides ). If you want ready made One-Page content, it’s recommended to import one of the demos that use a One Page setup. To create one from scratch – ensure that the Visual Composer plugin is installed and active, then Edit or Create a new Page. Go ahead and create the first Row – if you’re not sure on how to add Rows, check out the Using Rows section. As long as we’ve kept the Row Height as default, it should look similar to the diagram above. Now we’re back in the Backend Editor, scroll down to the bottom of the Page and goto the Single Page tab. Directional Navigation – If you’re having trouble with the visibility of the Directional Navigation, use the Icon + Background ( Only in rare circumstances is it recommended to disable them ). To configure the Header, there are a number of options we can use to setup the page. For this example we’ll keep it simple and not make many changes, but I’ve provided some information about each option that’s relevant. Set the Floating Header option to Float + Transparent ( For a Header layout like the Restaurant demo – use Float + Transparent ) Please Note: Only set this option to Float or Float + Transparent if you want First Row ( Slide ) to have a Header Floating Over it. Although a Menu is not essential, we’ll create one for this example. Once the Menu has been created, go back to the Single Page you’ve created. It’s rare the Title & Breadcrumbs will be needed and in this example we’re going to disable them. That’s it, we can now Save the page and checkout the result.